In order to understand how to interest new patients and retain existing ones, you have to first understand that patients have a choice when it comes to their medical care. By employing tools that can help them make the best decision about your practice, you not only educate your patients but empower them with information about their healthcare choices. 1. Integrate a CRM system into your practice. Salesforce is the leader in customer relationship management and they have a specific application for the healthcare industry that can help you manage patient data in an entirely new way. Utilize CRM software to communicate with prospects and log interactions with them before their first patient visit. You can use Salesforce to tailor patient experiences based on their demographic information, health conditions and preferences. 2. Use a marketing automation system. You can learn so much about your prospects and patients by implementing a marketing automation system that tracks their online behaviors when they're away from your office. HubSpot is an example of a marketing automation solution that can help you develop an extensive inbound medical marketing program to attract new patients and delight existing patients. You can use it to tailor emails with information your patients are interested in, implement and monitor your social media campaigns, blog to your prospects and patients and capture additional information that can help you better understand how to communicate with your patients. 3. Change your website. Your website is not and should not be used as an online brochure. Your website should be a place where your prospects and patients can come to be educated not only about your medical practice but also about health concerns and trends. Your content shouldn't be stagnant but dynamic and engaging. Several good things can come from this: your patients will be more interested in your site; rankings for your keywords should increase to make you easier to find in a Google search; and you will have the opportunity to convert more prospects into patients. 4. Employ social media tools. Even if you opt not to integrate a marketing automation tool like HubSpot, you should definitely be engaging your prospect and patient base on social media tools they use like Facebook, Twitter, Pinterest, Instagram and even Snapchat. Communicate with your prospects and patients about what they're interested in where they are. Medical marketing can be a challenge in an ever-changing world. But employing new strategies to attract and retain patients is a must. What if your old marketing techniques are working? What if your patient referral program is going gangbusters? My advice? You should still have a few new tool sets up your sleeve. If you wait until the referrals dry up, then you're going to have to scramble to get new tools in place as your patient load dwindles. 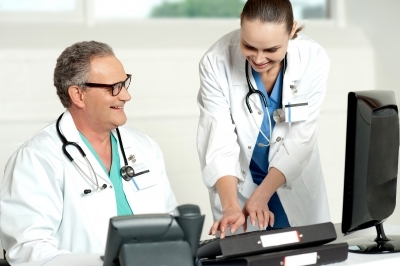 Trying new tactics can only make your medical marketing programs more robust. Learn how to incorporate all of your tool sets and initiatives into 1 simple integrated marketing plan.